Promotional Products Giveaways - UK Business Gifts Supplier. 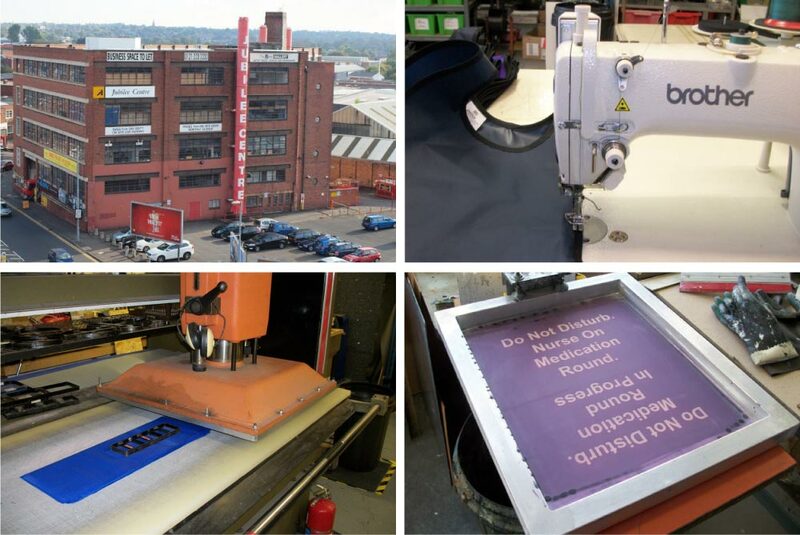 We are a UK manufacturer of custom-made sewn merchandise and supplier of personalised promotions business gifts, located near the centre of Birmingham. We produce a range of custom-made products in-house that can be customised to suit your requirements and personalised with your logos or text messages, from a single colour print to full colour logos and pictures, subject to the product chosen. UK made items include nylon, polyester and poly-cotton tabards for children and adults, designed for use in schools, charity fundraising appeals,general business promotions, hospitals and care homes. Check out our range of pre-printed text role identification armbands, tabards, safety vests and sashes. For funerals and mourning, we have a range of black poly-cotton armbands and black elastic armbands. Promotional satin sashes, polyester sashes, drawstring bags and other charity fundraising products, donation collection buckets and money hand boxes. Customisation is available for most of our products. If you require help with any aspect of our products please call, we will be very happy to help you. We also offer a huge variety of personalised promotional gifts and merchandise to meet all your unique requirements. Safety Workwear - Personalised Products - Schools - Charities - NHS - If you can't find an item please call!